There are many Italian immigrates who came to America all during the late 1800s and into the 1900s. 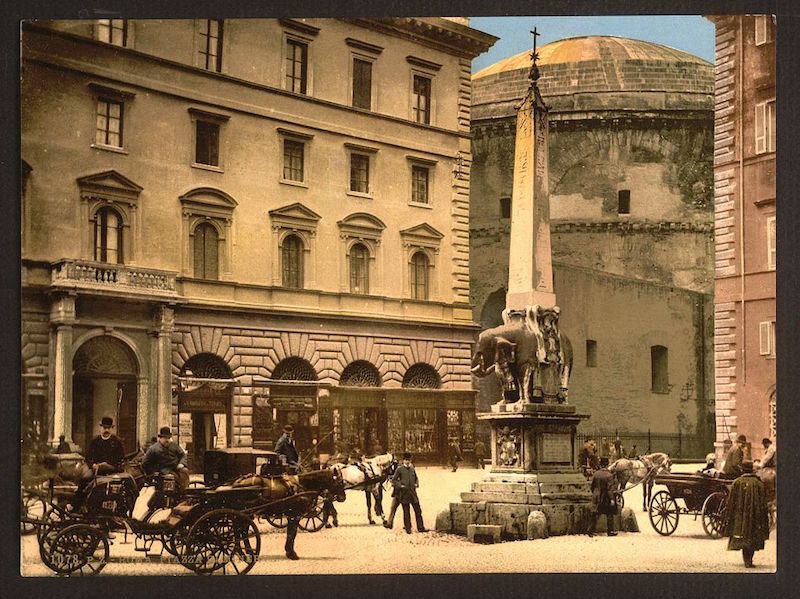 There may well be family branches still living in Italy, that would be fun to locate. 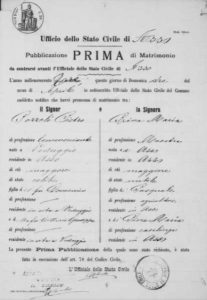 A good starting point in research relating to databases for Italy is the free FamilySearch.org on the nation of Italy. Here there are some 42 different databases to draw from. 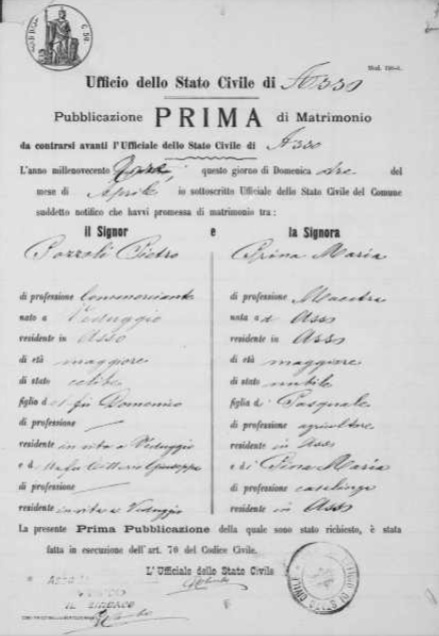 Numerous civil registration databases (births, marriages and deaths) from different regions of Italy are available. The church records are really invaluable for any research. 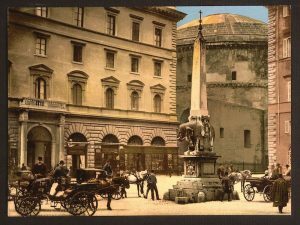 Having a basic knowledge of where in Italy an ancestor lived is important in finding a relative. Also, the surnames might have some different various in spellings, especially before 1880s. These scanned images will be in the Italian language and will need translating. Some have been translated and that is found in the information box below the image. Be patient in your search. 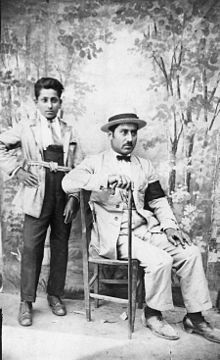 Photos: Florence, Italy; Ted De Grazia (left) and his Uncle Gregorio in the 1920s in Italy–his parents and uncles immigrated from San Pietro, (southern Italy) in early 1900s but returned to their homeland in 1920; Marriage record in Asso, Como, Italy and the Piazza Minerva in Rome in 1900.